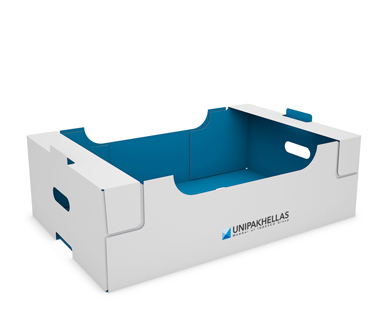 Self-locking Agricultural Tray - UNIPAKHELLAS S.A.
Our hand-erected agricultural trays are easily customized to all shapes and sizes. 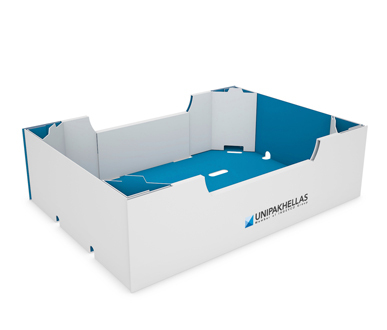 Their interlocking system enhances the handling and shipment of fruits and vegetables and minimizes movement in transit, safeguarding fresh produce from damage or loss. 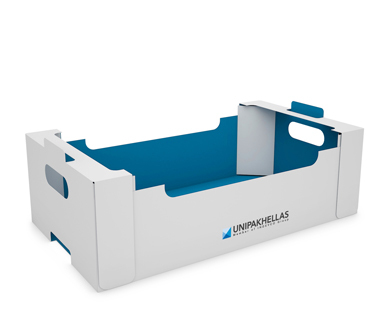 These trays are made from corrugated cardboard with advanced printing techniques, presenting the opportunity of turning the trays into attractive retail-ready packaging customized with branding and messaging. 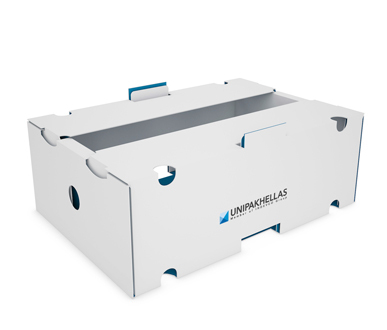 Known for its versatility, stacking strength and low production cost, our recyclable corrugated packaging allows your fresh produce to have a shelf life of up to three days longer.